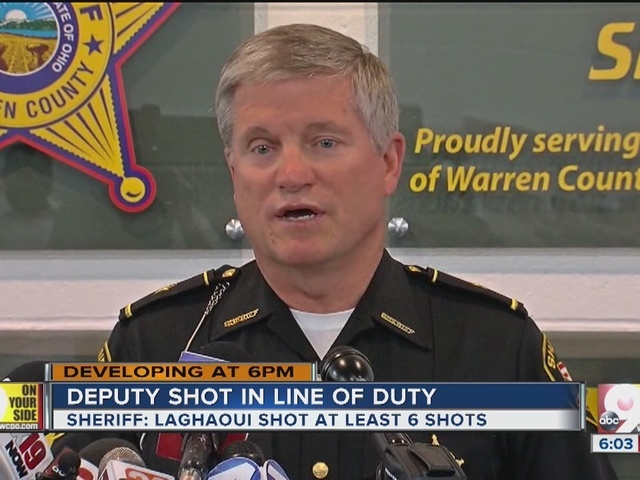 LEBANON, Ohio – The deputy who fought for her life in a shootout in Warren County Thursday is a Mason native who joined law enforcement after a career as a professional soccer player. 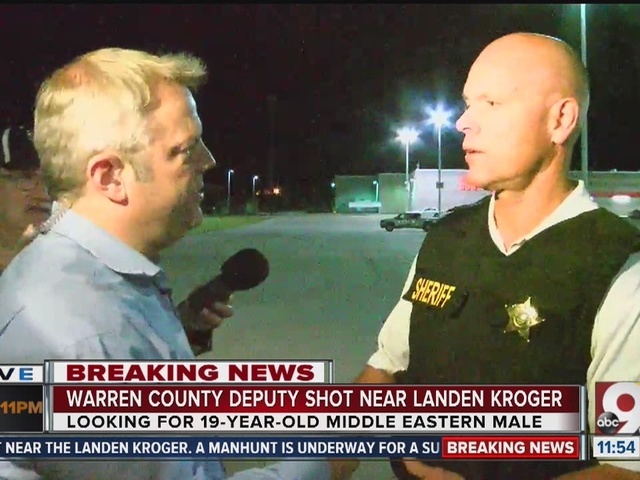 Deputy Katie Barnes was responding alone to a report of a domestic disturbance at the Orchards of Landen apartment complex at about 9:45 p.m. Thursday when 19-year-old Mohammed Abdou Laghaoui opened fire, hitting her in the lower abdomen , according to Warren County Sheriff Larry Sims. Barnes, 35, is a graduate of Mason High School and West Virginia University, where she excelled on the soccer team as an All-American athlete. She was drafted as a professional soccer player and was also a member of the U.S. national team pool. Soccer took Barnes around the country. She played for pro teams based in North Carolina, California and Indiana, and was an assistant coach at the University of Alabama. Her time on the field earned Barnes several championships and cup titles, and numerous accolades. "Whatever Katie did, it was 100 percent, or 130 percent," her father, Gary Barnes, said. He added that her work ethic didn't just apply to the soccer field, but also to her career in law enforcement. "She's the best at anything that she does," Gary Barnes said. "That's her goal. She wants to be the best -- and she will be." Sims said Barnes has been with the sheriff’s department for about seven-and-a-half years. She started as a corrections officer at the jail before becoming a deputy. 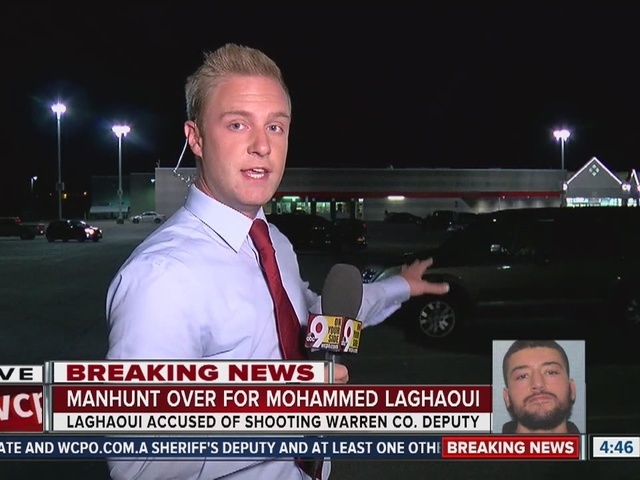 Barnes responded to Laghaoui’s Jonathan Lane home twice Thursday night, Sims said. 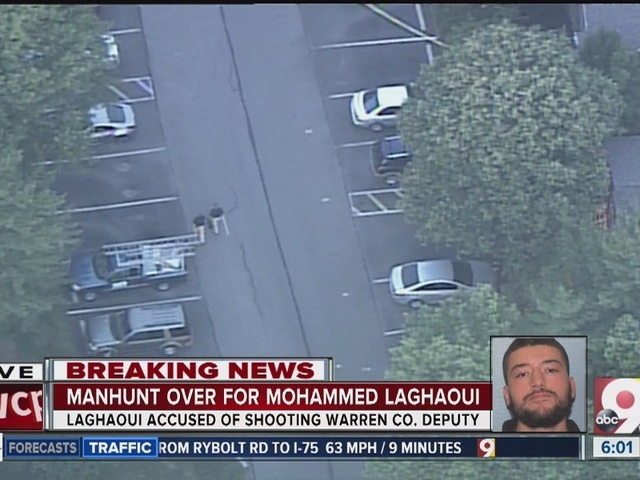 She was first called there on a report that Laghaoui had threatened his father and brother at about 8:05 p.m. She spent about 40 minutes there. 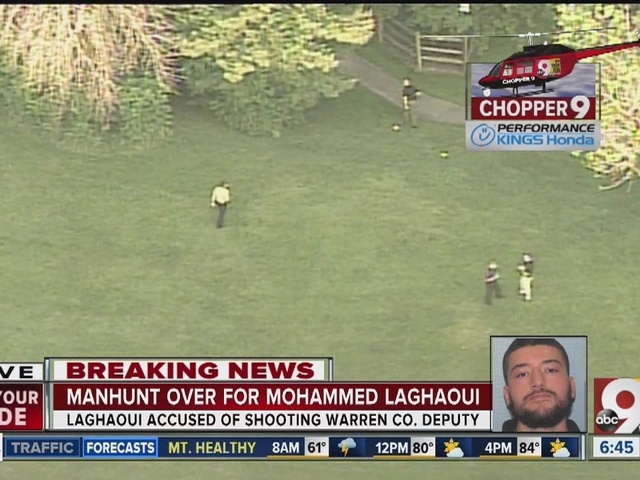 About an hour after leaving, Barnes was called back to the home on a report that Laghaoui had punched his father in the face and made more threats. It was then that he shot Barnes from the top of the stairs as she approached the building, Sims said. Barnes moved back to get away while radioing for back-up and returning fire, Sims said. 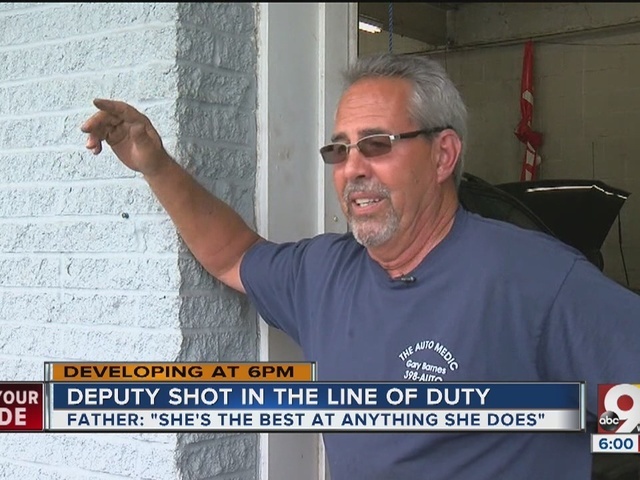 This was the first time she fired her gun in the line of duty, the sheriff added. “Unbeknownst to her, she had already been struck by one of the rounds,” Sims said. Barnes moved for cover as another deputy arrived and aided her. The bullet grazed Barnes’ lower abdomen, according to Sims. 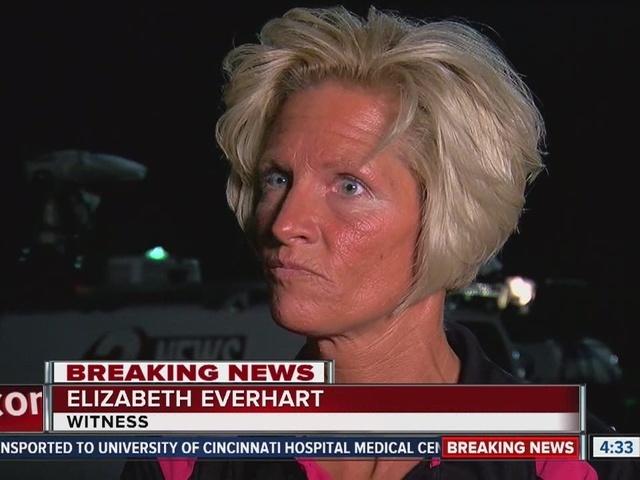 She was treated at University of Cincinnati Medical Center and released at about 3 a.m. Friday. Barnes isn't the first law enforcement officer in her family. 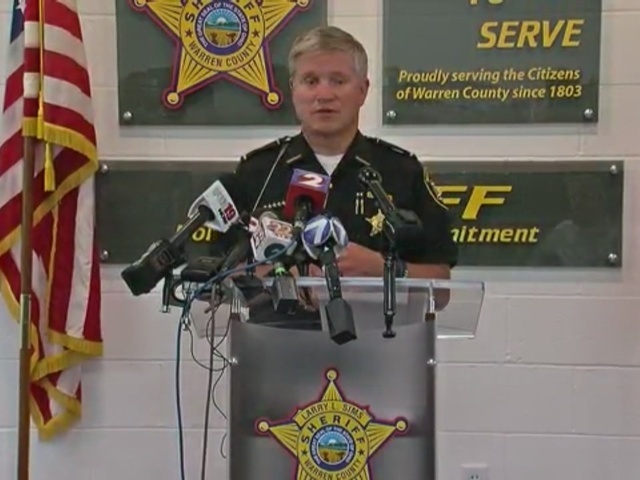 Her grandfather was a Mason police officer for 28 years, and her brother, Brett, is also a police officer, Gary Barnes said. Gary said that Katie is still well-known in the Mason community.